In the Sierra Nevada foothills, spring just goes on and on. Depending on the elevation, spring blossoms add great sweeps of color to the hills between February and July. 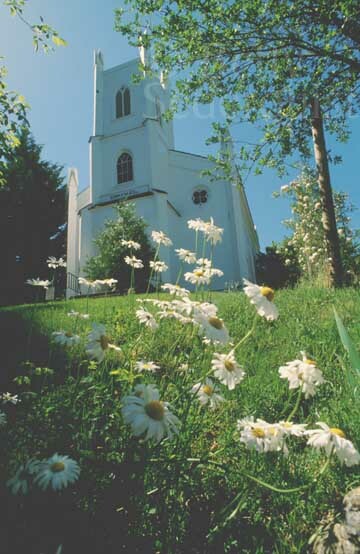 With moderate temperatures and lack of crowds, spring is one of the best times to visit this region. This year, with low-elevation snows in late February and early March, spring got off to a slow start, but record-setting high temperatures in late March hurried spring blossoms along. At low elevations in the foothills, cherry and almond orchards begin blooming as early as February. March brings violets and daffodils to gardens at elevations of 1,000 to 2,000 feet. 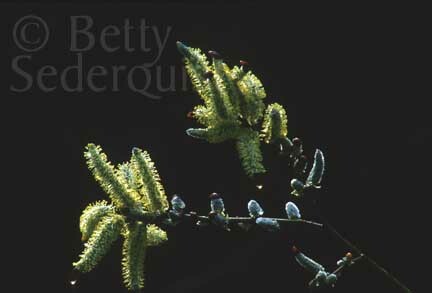 Willow catkins bloom along streams full from winter rains. Pockets of shooting stars add touches of magenta to the landscapes. 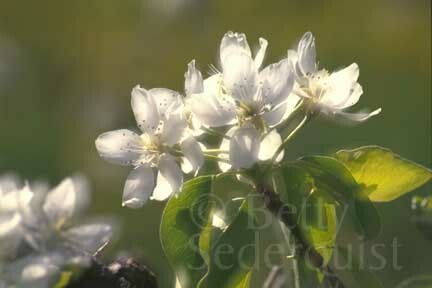 Popcorn flowers dot the landscape with their snowflake-like white blossoms. Hills begin to turn a brilliant green. Daffodil Hill, near Volcano east of Sutter Creek in Amador County, features acres of bulbs. It opened March 17 and is in full bloom by early April. 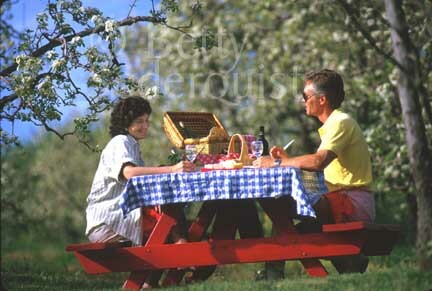 Bring a picnic lunch and enjoy the many flowers at this historic private ranch. Donations are accepted. By April, California poppies and lupines carpet the hillsides in great sheets of gold and blue. Spectacular poppy displays thrive, especially on south-facing slopes above major rivers. One favorite poppy area is located on the South Fork of the American River upstream a few miles from Coloma; unfortunately, this is private property. However, you can view the flowers with binoculars from Highway 49 about a mile south of Coloma. Ancient wisteria vines, planted by early-day pioneers, festoon old buildings throughout the Gold Country. Lilacs, too, announce their fragrant presence. In deep-shaded canyons, white dogwood blossoms proliferate. In Apple Hill, east of Placerville, apple, peach, cherry and pear blossoms blaze for miles. In the southern Gold Country, the Yosemite Junction area near highways 108 and 120 features spectacular spring displays of wildflowers; seven plants in this region qualify for rare, endangered, threatened or special status species. To the north, Table Mountain, just a few miles north of Oroville in Butte County, offers spectacular wildflower displays; keep in mind that much of the land here is private. In May, several iris farms in El Dorado County feature hundreds of different kinds of blooms. 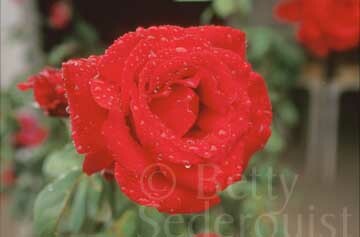 Roses are in their prime; their blossoms linger throughout the summer in local gardens. June is a time for daylilies. By the end of May, the green hills begin to turn gold as summer heat sets in and grasses mature. Blue brodiaea flowers dot the fields; the starchy roots of these plants were once highly prized as a food source by the Miwok and Maidu Native Americans who lived here for thousands of years. As snow melts from higher elevations, wildflowers abound here, too. For example, hikers setting south from the summit of Carson Pass on Highway 88 will find spectacular fields of many kinds of flowers near Frog Lake and Lake Winnemucca. The flowers here usually peak in late July. We recommend a great wildflower identification book, Wildflower Walks and Roads of the Sierra Gold Country, by Toni Fauver. You can order the book through us from amazon.com.